“Higher Dimensionals only” operators are not affected. “Exit strategies” are individual and may take various forms suited to each Hue-Being involved. Significant energies are required at the current moment to maintain any 3D-4D involvement, and “Higher Level” decision has occurred for all such Hue-Beings to remove from 3D-4D. Magnification of all Gaia Collective and Gaia inhabitants’ intents attains maximum level for the 2013 period. In practice, this period asks for all Hue-Beings to practice care with intent, and refrain from “side thoughts”, also referred to in previous post as “Novelty” energy items. Focusing and clarification of all Gaia Higher Dimensional energetic constructs occurs at this moment. “Novelty” energy items are being discarded along with all grids which support such. Authenticity is currently required for all new energetic and (so-called) Light Work. Flash Points of understanding come for non-resisting Hue-Beings, as well as hu-beings. The “Hue-Being / hu-being” designation is now fading rapidly. Global Gaia awakening is near. Genesis of Planetary Energetic Healing streams completes preparation phase of Gaia Ascension Vehicle. Planetary Energetic Healing streams are purposed to hu-being energetic correction as well as Hue-Being energetic upgrading. Birthing of what has been called “Nova Gaia” is now in process, and likely completes within the so-named “2014” period. Mastery classes are ongoing for all Hue-Beings, at Higher Levels of awareness. Nova Gaia Energetics have “taken flight”, as former paradigm energy grids have closed, and necessary Nova Gaia portals have opened. 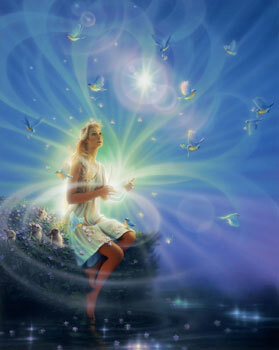 Energetics are now fully aligned with Ascendant Gaia. Timelines are now integrated into a single stream, and all discrepancies healed. Nova Gaia has been boarded, and Hue-manity has accepted fully invitation for the “Higher Ride”. Sensitivities of all Gaia inhabitants attain High Points, prior to commencement of next phase. This is a vital step on path to global Ascension. Corollaries are now abandoned; primes are on point. Flash points have been reached; required sparks follow in short order. Release of all projection-with-resultant-fear scenarios is primary at this moment. All is at Peace with Gaia. Rendition of Cosmic Energies into Gaia usable form is currently at maximum allowable levels. Streams of blue crystalline needle configureds are continuing dissolution of all unusable old paradigm concepts. Higher movements of Gaia protectives continues unabated. Incoming Cosmics are soon to assume primary function in the Gaia collective dimensional scheme. Consolidation of Energetics Upgrade process leads to formation of the next Gaia Energetic Protocol for expansion of hu-manity and Hue-Manity consciousness. Such Protocol establishes prime “responsibility” with each Hue-Being for Ascension steps. All restraints have been removed. All obstructions are now eliminated. All complexities of the New Protocol are handled. Flash points have been activated and such are in progress. All dimensional levels are involved and none are exempt. Centeredness in all affairs will moderate effects. Enlightenment in full for hu-manity is in process. Consolidation of Gaia Portals comes, as Cosmic Light alignments are completed. There becomes as one aligned Being, the combined efforts of all. Portals have essentialized necessary requirements for humanity uprising. Flash point of hu-manity non-aligneds approaches, and will be moderated as necessary by Light aligneds. Fires of compassion for under hu-beings comes forth with near explosive force, as Cosmics impress upon Gaia whole. Flowers of Light blossom into fullness of expression and acceptance by hu-beings.